Here concludes a series of blog entries undertaking to examine each of the eight qualities that our Great Mother advises us to cherish in our hearts. Modern culture won’t teach you the meaning of reverence. The dictionary defines it as “a feeling of deep respect; awe; or veneration.” Veneration in turn points back to reverence, and modern usage of the word awful (full of awe) renders that word nearly meaningless in our invent-a-word-every-week approach to language—more accurately to the jargon we so often substitute for language. Respect retains a little meaning…yet most people think of Aretha Franklin’s feminist anthem before—unless they’re thinking of Rodney Dangerfield. Wonder—a word equivalent to miracle a millennium ago, and, the emotion felt when witnessing a miracle—that is the closest I find in today’s lexicon that conveys such meaning. Worthy comes into reverence when defined as “worthy of respect.” Worthy, however, is a word with key meaning to British Traditional Wicca. Having merit or nobility comes closest to defining one’s worth, at least within the Wicca. In the context of the Charge, having reverence within you, tells me to heed, and to cherish, those interactions—conversations, meditations, observations—that elicit wonder, that are worth my time, that flutter my heart, that shake my spirit. watching a wild river otter playing waterslide over the rapids in the Trinity River, from close enough that my toes were in the river on the far bank! when old-growth redwoods entreated/pleaded/demanded I continue my inexpert solitary recorder serenade played on the stage of the open-air Redwood Forest Theater amid Armstrong Redwoods in the Russian River valley — I had always wanted to try the acoustics, was there on an early March drizzly day with the place empty, and had with me a second-hand wooden tenor recorder, which I was learning to play; the trees made us continue until the recorder lost its voice owing to condensation in its throat. Here is where the Lady’s advice proves most challenging, when individual Witches must learn to be gentle with themselves, to cherish the wonder & awe within themselves, to acknowledge & respect their own strengths…while uncovering & addressing their own failings. This entry was posted in About Wicca, British Traditional Wicca, Initiatory Wicca, Paganism, Wicca, Witchcraft and tagged Goddess, wiccan virtues on March 7, 2018 by Deporodh. Having humility means to be humble. And humble means “modest, lowly in manner, respectful”—the word derives from the same root as the word humus, the organic matter of soil…or, what comes out of your compost heap when it is ready to dig into your vegetable garden. Grounded, rooted, earthed—those are the words I would also choose as having similar meaning, certainly in a magical sense. This quote of Socrates’ supports something I & my high priest taught our students for the past two decades—if you boil Wicca down to a one-word core concept, it is “connection”; (K.C.’s example for Christianity was “forgiveness” or for Buddhism was “mindfulness”). Humility joins people, and that junction, that connection, so key to the love and trust intrinsic to Wiccan magic & Wiccan ritual—that connection depends on the equalizing effect of humility as much as it depends on that love and trust. I choose to employ modest as the most useful synonym for humility. Moderate in manner, showing respect for others, holding one‘s own accomplishments as equal in worth to those of others—those are traits of a humble person. Without resorting an exposition on the necessity of self-esteem, I will simply say that the healthy spirit values its own achievements, addresses and repairs its own failures, and rejects both undeserved praise together with undeserved opprobrium. Aristotle wordily discusses, in his Nicomachean Ethics, what I will summarize as a spectrum of internal evaluation, or self-esteem: with inappropriate humility at one end and vainglory at the far end; he places earned pride as a balanced midpoint. Browning‘s simple couplet encapsulates Aristotle’s essay, yet both emphasize the value of knowing one’s own worth. This entry was posted in About Wicca, British Traditional Wicca, Initiatory Wicca, Paganism, Wicca, Witchcraft and tagged Goddess, wiccan virtues on April 14, 2017 by Deporodh. Definitions feel more emphatic when a word retains its nature for more than two millennia, especially in this bleeding-edge society where yesterday’s newest invention equals tomorrow’s midden-filling. Honor/honour is defined (and has been defined since BCE Rome) “dignity or reputation.” As is my habit, I dug a little deeper, chasing definitions of the definition, and find that dignity means “worth (or worthiness), proper, fitting.” My fellow BTW initiates may take particular note of those two words: proper and worthy—both used within our core ceremonies to identify someone newly become one of the Wicca. One’s reputation is built upon others’ experience. Everything you do and say creates your reputation; nothing you do or say is likely to improve a poor reputation except possibly a sea change in one’s words & deeds over considerable time. Whether monies owed are a formal, paper-recorded commitment or merely a nod or handshake to a friend who covers one’s lunch tab the day before payday, cold hard cash is as memorable a broken promise as there is. As an indicator of anyone’s trustworthiness, the earthy reality of gelt/wampum/dough/scratch/valuta speaks volumes, silently. “Pagan Standard Time” is a poor attempt at humor. It is not funny. Public circles or sabbats or events that start 60 to 90 minutes after the published starting time induce low regard for aught that names itself Pagan—religions, traditions, faiths: Witch, Lodge Magic, Druid, Asatru, Voudon, Heathen, Wiccan, Troth, Thelema, etc. Doubtless other examples will occur to my readers, but I believe those are enough to sharpen my point. In societies around the globe and across thousands of years, honor/honour is a commodity valued in actual noble metals. Today, the highest honor given to ordinary people in the USA is the Congressional Medal of Honor. The very name of this highest civilian recognition—the Medal of Honor—imparts some small sense of the respect given to recipients, and the worth of those recipients to be so honored. Mary Edwards Walker, MD, sole woman ever to receive the Medal of Honor She wore it throughout her lifetime. As the previous sentence demonstrates, it is impossible to speak or write of the concept of honor/honour without using the very words we employ to define it. Alas, such circular definitions may limit comprehension of a new concept—but the notion of honor, of worth, of respect are enacted on playgrounds every day. Our culture may value individual honor/honour above the sociodynamic face of many other cultures, yet we adopted the concept into English almost as soon as, historically, we encountered it (early 19th century, per dictionaries). Children & adults alike grasp the relationship concept of saving face or losing face—in the classroom, in the courtroom, in the conference room, and in the bedroom. For titles do not reflect honor on men, but rather men on their titles. The nation’s honor is dearer than the nation’s comfort; yes, than the nation’s life itself. This entry was posted in About Wicca, British Traditional Wicca, Initiatory Wicca, Paganism, Wicca, Witchcraft and tagged Goddess, Wicca, wiccan virtues on April 12, 2017 by Deporodh. As has become my habit, I begin with the word itself. Its medieval meaning in old French is defined as sympathy or pity…from a Latin word having the same meaning, and that originates from from the Latin word roots, com “together” and pati “to suffer.” At its root, compassion is constructed from Latin roots meaning to suffer together. When it comes to suffering, our first thought is of bodily suffering: ill health, injury, and death. In our mundane lives, there are commercial sympathy cards to send after a death. Like compassion, the roots of the word sympathy mean a community of feeling, from the older Greek language rather than Latin. 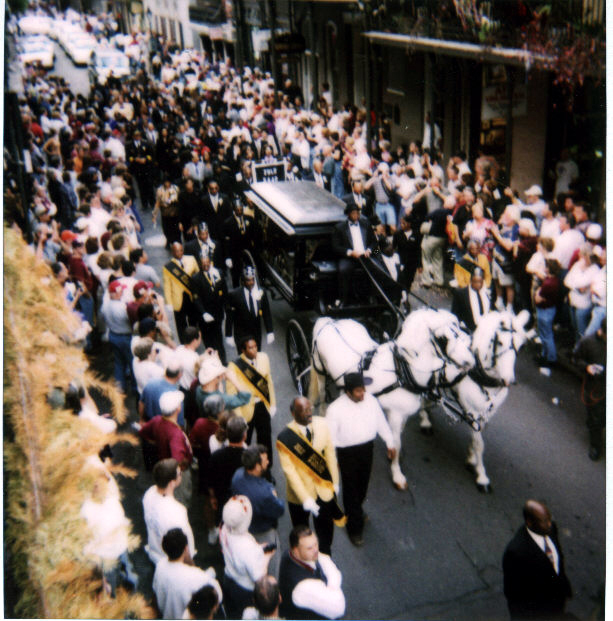 Wakes & funerals, memorials & “celebrations of life”—all of these human mourning rituals center around sharing the suffering, expressing the grief, supporting the most-stricken. Suffering together. Empathy is a term often used today to describe this sort of fellow-feeling. The very first Society for the Prevention of Cruety to Animals was founded in the UK in 1824. There are now dozens, perhaps hundreds, of SPCA organizations aro und the globe. International Bird Rescue was founded in 1971 to address the plight of oiled birds and animals fouled by oil spills at sea and along shore. Notecards of sympathy for accident or illness are popularly known as get-well cards. And so commonplace are they that commercial publishers routinely stock co-worker cards, family-member cards, accident cards, illness cards, etc. Guest housing at no cost is made available by hospitals for family supporting inpatients having major treatment therein. In February 2014, I stayed in such when I was my sister’s driver and “coach” for a total knee replacement hours away from my home and hers. Hundreds, even thousands, of organizations non-profit or religious or community-based, exist to support every sort of ailment, accident, ecological mishap, and ever-diminishing wild lands and wildlife. The fact that so many exist is tribute to the generosity of human spirit. It is community that makes grief in the face of death & tragedy bearable. “Crying together” as an author described it, sharing memories and faux pas, hearing tales from friends or family that bereaved others had never heard. 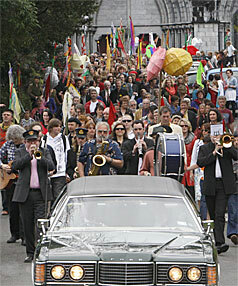 Whether the community of death takes the form of an Irish wake, or Tlingit funeral potlatch, a New Orleans jazz funeral or the ballyhooed first responder’s death-on-duty funeral with its national attendance and miles-long procession of firefighter and LEO vehicles—it is the community, that fellow-feeling, that supports the spirits when one’s own are at their lowest ebb. One of the first things witches use magic for is healing. They are often asked to aid non-witches, and within the many traditions of Wicca, word will spread rapidly when a serious illness or injury affects one of our own. I have personally done healing work, alone and with a full coven, for the benefit of witchy-kin with colon repair, thyroid cancer, heart attack, and a diabetic struck ambulance-hard with influenza. In my turn, I received considerable magical support when I suffered a disabling stroke (“cardiovascular accident”) at the young age of fifty…and a week following my admittance to hospital (where I spent 5 days), I was able to attend the planned first of a series of Intro to Wicca classes long-planned. I have seen my share of intentional miracles. It is less than a year since I burned my candle on behalf of another well-known witch stroke-struck, and I’m happy to say that person was a scant two days in hospital and much faster rehab. 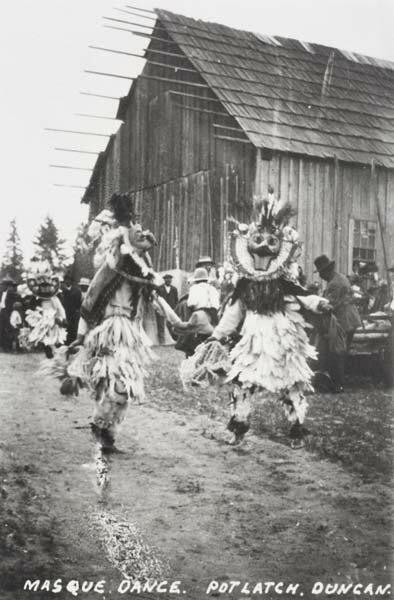 Because birth families usually control the handling of body disposition and public funeral rites, often in religious formats far removed from Wicca, Witches usually hold their own ”crossing rites” for their dear departed—circles in which a deceased coven member is mourned, remembered, waked, and sometimes offered the opportunity to share departing messages through divinatory tools or a mediumistic coven-mate. Quoted below is a short segment of the closing to such a crossing rite, penned at the outset of 2001, and used by me in both personal and public crossing rites since then. Of body & bone, of earth & stone, of things once owned, be free! Of blood & tears, of weary years, of ancient fears, be free! Of passions tamed, rage unrestrained, of ancient pain, be free! Of words unspoken, visions broken, of memory’s token, be free! Mundane life is full of dark. “News” headlines are virtually written in blood. Turn on the radio during drive time and chaos from the next block to the next continent will swamp you. Our own human natures find gloom more seductive than the greatest joy, unless we choose to let it go. Memorable disasters, death anniversaries, worrisome woes, those downers make up far too much of everyday gossip. Seek out your own compassion, share it when and with whom it you feel it’s needed…and spread the rest of it like balm on your own spirit. This entry was posted in About Wicca, British Traditional Wicca, Initiatory Wicca, Paganism, Wicca, Witchcraft and tagged Goddess, Wicca, wiccan virtues on January 11, 2017 by Deporodh. Gerald Gardner uses the first meaning—energy or force when he describes witch power. Gardner speaks separately of will-power when he discusses power, making it clear that the bodily energy-as-power is distinct from the mental control-as-power that witches must use to direct and control the power raised from their bodies. Small wonder Gardner employed the term will-power for the second meaning when speaking of how witches manage the first meaning. Now, as to what is meant in the Charge? Given the pairings and contrasts within that text, I take power to mean the capacity to direct energy. After all, She has already listed strength in the initial paired qualities, “beauty and strength.” Thus, when She uses the word—in this context‚—power must mean the second meaning—control, what Gardner calls will-power. energy (n.) 1590s, “force of expression,” from Middle French énergie (16c. ), from Late Latin energia, from Greek energeia “activity, action, operation,” from energos “active, working,” from en “at” (see en- (2)) + ergon “work, that which is wrought; business; action”. Used by Aristotle with a sense of “actuality, reality, existence” (opposed to “potential”) but this was misunderstood in Late Latin and afterward as “force of expression,” as the power which calls up realistic mental pictures. Broader meaning of “power” in English is first recorded 1660s. Scientific use is from 1807. Power-as-energy is what Gardner meant when he spoke of “witches raising energy from their bodies”—but power-as-control is how Gardner describes how a Witch High Priestess puts power-as-energy to use in working magic. There it is, the Neopagan origin of the phrase “power over” or control. And there, power-from-within, is Starhawk’s term for Gardner’s power-as-energy that we sometimes simply give to the gods at a Sabbat. So…coming back to the Goddess’ instructions, what does She mean when she tells us to have power within us? She means, as I understand Her, three things—matching the threefold meanings of power. Husband the energies of our bodies (power-as-energy), and put them to good use. Choose wisely when employing power-as-control. Employ our native faculties (power-as-capacity) to the best purposes of all. This entry was posted in About Wicca, British Traditional Wicca, Initiatory Wicca, Paganism, Wicca, Witchcraft and tagged Goddess, Wicca, wiccan virtues on July 2, 2016 by Deporodh. Strength is a quality—being strong—which may apply to individual humans or animals or objects, groups of humans or animals or objects, or even entire tribes or species or categories of objects. 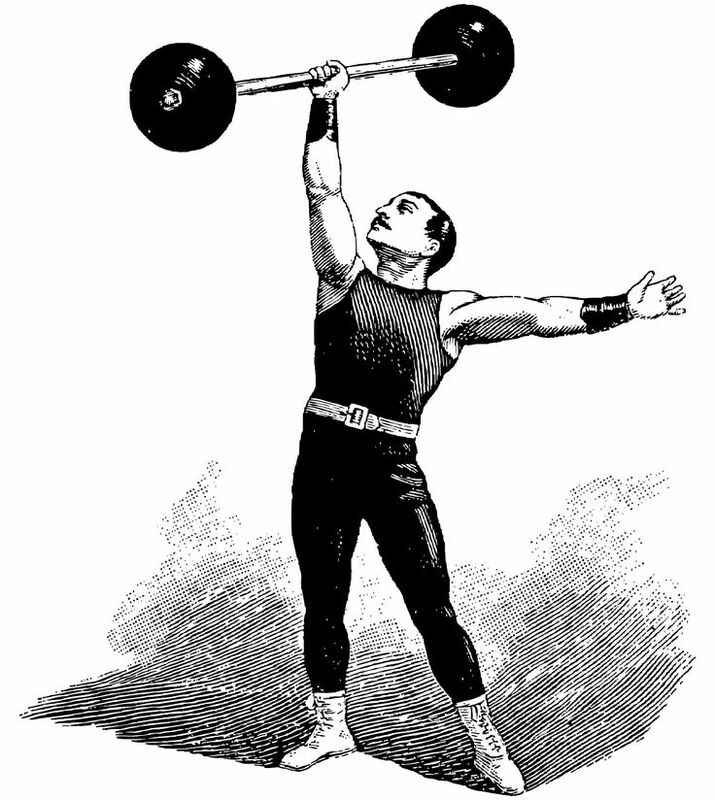 Among humans, definitions of strength or strong cover a gamut of meanings, from the ability to wield ergs that move tonnes, to the inner qualities that enable humans to endure privation and withstand hardship, to the stalwart temperaments displayed variously as stubbornness, loyalty, and tenacity. Families or tribes or entire peoples may be called strong, with any of the meanings of the term. Natural strength exists in the world around us, in the boles of trees, the solidity of stone, the force of floods, the vigor of wildlife, and the extremes of weather. From the Stone Age onwards, humankind has used the strength of stone in structures and tools and weapons. Flint or obsidian blades, cobble and thatch homes, slate pathways, slung stones—we value the strength of stone, just as we use its mountains and crags as landmarks for our travel. The climax species of conifer that once comprised the backbone of the widespread coastal temperate forests of western North America (cedar and redwood) depict their own “pillars of strength.” Whether coniferous or broadleaf, mature climax forests feature such wondrous pillars, be they the pictured cedars and redwoods of western lands, or the oaks, beeches, maples, and birches of eastern ones. These sturdy columns support huge widespread foliate canopies which, astonishingly, act as solar engines to renew our air, circulate our water, distribute chemical nutrients, and shelter our wildlife. Greek mythology, in the Labors of Hercules, tells us how he used his strength to re-route two rivers in flood through the Augean Stables to clean them out in a single day. The “force of floods” required all his Herculean strength to manipulate, while accomplishing what even he could not perform in one day, moving a veritable mountain of manure. 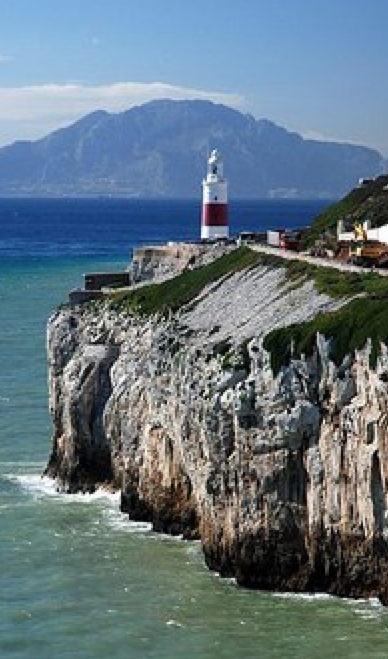 Even today, the Atlantic passage to the Mediterranean Sea which we call the Straits of Gibraltar, are also known as the Pillars of Hercules, just as they were known to Phœnician traders and Greek sailors. Two mountains bracket the gap through which the Atlantic replenishes the waters of the Mediterranean, the rock of Gibraltar at the southern tip of Spain, and Jebel Musa, in Morocco at the northern tip of North Africa. Given that Hercules’ fame arose from his strength and tenacity, the Pillars of Hercules were and remain symbols of both. In the previous blog in this series, the Pillar of Strength is described as the pair to the Pillar of Beauty, with the Pillar of Wisdom between the two. Rather than repeat kabala material, let me turn to another significant strain of esoteric lore, the Norse runes. Runes, like scripts everywhere, were known only to a few at first. The art of writing was generally considered magical, or at least sacred, during its early days within any culture. The Uruz rune is often known as the rune of strength: this second rune of the futhark, Uruz in the futhark of Old Norse represents the letter U, and means aurochs, the primitive giant, wild Eurasian cattle. 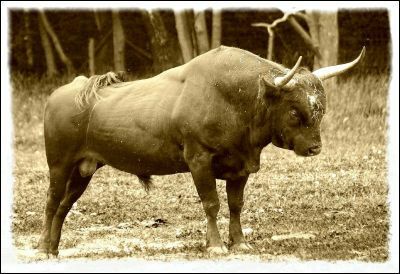 Aurochs, especially bull aurochs, were fearsome animals, about 150% of the size of a modern beef bull, with shoulder heights of seven to upwards of nine feet. 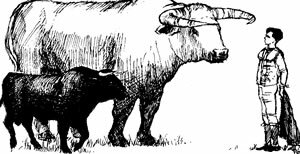 Although ancestor to modern domestic cattle (the last aurochs died in Poland in 1627 CE), aurochs were not tractable, being hunted rather than raised. Humans use strength of mind to determine our purposes. We use our strength of will to hold constant to those purposes. And we use our strength of body to act on those purposes. The common trait among them all—following Pope’s epigram—is the exercise of our minds to select among options consciously, to hold fast to those decisions and to select course(s) of action that make those choices come to pass. Just as the Goddess advises us to have strength within us, so do our gods advise us to choose our intent: “An it harm none, do as thou wilt.” Opt to do, or not to do, a familiar concept. Finally, there’s strength of character. Our gods also advise us to be responsible for what we do, “As thou dost give, so shall ye gain.” What goes around, comes around; equally familiar as Newton’s third law, “for every action there is an opposite reaction.” Strong characters reflect self-knowledge, own errors, redress wounds, enable trust…absolutely foundational needs for any magic worker. This entry was posted in About Wicca, British Traditional Wicca, Initiatory Wicca, Paganism, Wicca, Witchcraft and tagged Goddess, Wicca, wiccan virtues on May 31, 2016 by Deporodh.